9-10am PT/ 12-1pm ET The State of Suicide Prevention Today To kick-off this series, David Jobes will provide a broad-strokes review of current trends in the field of suicide prevention and treatment. 9-10am PT/12-1pm ET Crisis Response Planning for Suicidal Patients: An Introduction As older standards of practice in caring for suicidal clients-such as contracting for safety-have proven to be largely ineffective, managing suicide risk with effective crisis-response planning strategies has become even more important. Join Dr. Bryan to learn about implementing this alternative and efficacious practice to help reduce suicide attempts. 9-10am PT/12-1pm ET How are new technologies changing the way we study and treat suicidal behaviors? Learn about Dr. Nock's leading edge of research on understanding and treating suicide and suicidal behaviors. 9-10am PT/12-1pm ET A Critique of Contemporary Clinical Care of Suicidal Risk and CAMS as a Possible Remedy As the research on suicide prevention and treatment of suicidal clients develops, it is revealing more and more failings of standard clinical responses. Join Dr. Jobes to learn more about the Collaborative Assessment and Management of Suicidality (CAMS) approach, and how it may help improve clinical care of suicidal individuals. 9-10am PT/12-1pm ET Designing Implementation Strategies in Collaboration with Partners: Firearm Safety Practices in Pediatric Primary Care as a Universal Suicide Prevention Approach While restriction of lethal means is widely understood as a necessary component to ensuring safety and preventing suicide, current evidence-based practices for increasing firearm safety behaviors among parents are not often used in routine care setting. Dr. Beidas will provide an overview of her research in increasing effective implementation of such EBPs in primary care settings. 9-10am PT/12-1pm ET Why We've Been Getting It Wrong, and How We Can Get It Right: A New Paradigm for Suicide Research and Practice Joe Franklin will provide an overview of recent meta-analyses on suicide prediction/risk assessment, brain imaging and suicidality, and what is not working in the way of treatment/prevention. He'll offer a new way of thinking about suicidal thoughts and behavior, and how we might develop more effective approaches to treatment/prevention. Sitting on the Edge of the Volcano: Embrace Your Practice In this 6-part series, DBT expert and mindfulness teacher, Cedar Koons, will focus on how to establish, maintain and enhance a daily meditation practice. Join Cedar's talks for inspiration from the dharma and company on the path to enlightenment!. EBPI has allocated 6 hours of continuing education for this course. After attending all of the webinar sessions, a CE certificate will be emailed to the attendee for 6 CEUs. 9-10am PT/ 12-1pm ET Does Employment Improve BPD Treatment Outcomes? Join Shelley McMain, Ph.D., for a summary of recent research on the relevance of employment status to treatment outcomes for patients with BPD, as well as insight as to HOW this matters. Dr. McMain will provide a review of her research in the field, and a discussion of potential clinical implications. 9-10am PT/ 12-1pm ET Thinking About Supported Employment and Education as Mental Health Treatment Shirley Glynn, Ph.D, will take us through the schizophrenia literature with respect to the importance of employment. She’ll highlight that work improves quality of life and is an important form of treatment. She’ll share tips for how to work precisely to work on employment. 9-10am PT/12-1pm ET People, Places, and Things: Moving Drug-Addicted People with BPD Off Drugs and To Work (NOW!) in DBT-SUD Linda Dimeff, Ph.D, will review our approach to employment when working with drug abusing people with BPD in DBT-SUD. She’ll highlight our lessons learned over the course of time and the importance of employment as a means of stopping drug use and preventing relapse. 9-10am PT/12-1pm ET DBT-ACES: A DBT Programmatic Path to Employment, Part 1 Adam Carmel, Ph.D., will take a highly practical approach to helping us think through how to set up a DBT-ACES program. He’ll begin with a brief high-level summary of what it is and its evidence base. We’ll then roll up our sleeves to learn exactly how DBT-ACES supports development of skills needed to get/sustain a job. 9-10am PT/12-1pm ET DBT-ACES: A DBT Programmatic Path to Employment, Part 2 Adam Carmel, Ph.D., will take a highly practical approach to helping us think through how to set up a DBT-ACES program. He’ll begin with a brief high-level summary of what it is and its evidence base. We’ll then roll up our sleeves to learn exactly how DBT-ACES supports development of skills needed to get/sustain a job. 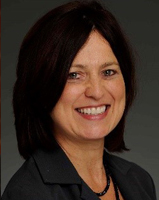 9-10am PT/12-1pm ET A Fireside Chat with a DBT Expert, Suzanne Witterholt, M.D. Join Linda Dimeff, Ph.D., as she interviews DBT expert, Suzanne Witterholt, M.D., on a number of issues related to her vast experience in treating people with BPD and get her views on why employment matters. 9-10am PT/12-1pm ET Putting it all Together Linda Dimeff, Ph.D. will review the highlights of this series and recommend specific steps to take clinically and programmatically to further optimize your focus on work. Rinad Beidas, PhD, is an assistant professor of Psychology in the Department of Psychiatry at the University of Pennsylvania. As an alumna of the NIH-sponsored Training Institute for Dissemination and Implementation Research in Health (TIDIRH) and the Implementation Research Institute (IRI), she has extensive knowledge and expertise in the dissemination and implementation of evidence-based practices. Craig J. Bryan, PsyD, ABPP, Dr. Craig J. Bryan, PsyD, ABPP, is a board-certified clinical psychologist in cognitive behavioral psychology, and is currently the Executive Director of the National Center for Veterans Studies at The University of Utah. Dr. Bryan received his PsyD in clinical psychology in 2006 from Baylor University, and completed his clinical psychology residency at the Wilford Hall Medical Center, Lackland Air Force Base, TX. He was retained as faculty in the Department of Psychology at Wilford Hall Medical Center, where he was Chief of the Primary Care Psychology Service, as well as the Suicide Prevention Program Manager for Lackland AFB. Dr. Bryan deployed to Balad, Iraq, in 2009, where he served as the Director of the Traumatic Brain Injury Clinic at the Air Force Theater Hospital. Dr. Bryan separated from active duty service shortly after his deployment, and currently researches suicidal behaviors and suicide prevention strategies, and psychological health and resiliency. He currently manages numerous federally-funded projects in excess of $10 million, to include studies testing cognitive behavioral treatments for suicidal service members, developing innovative methods to identify and detect high-risk military personnel and veterans, and disseminating effective treatments to health care providers and the public. Dr. Bryan has published over 150 scientific articles and several books including Managing Suicide Risk in Primary Care, Cognitive Behavioral Therapy for Preventing Suicide Attempts: A Guide to Brief Treatments Across Clinical Settings, and the Handbook of Psychosocial Interventions for Veterans and Service Members: A Guide for the Non-Military Mental Health Clinician. He is the lead risk management consultant for the $25 million STRONG STAR Research Consortium and the $45 million Consortium to Alleviate PTSD, which investigates treatments for combat-related PTSD among military personnel, and has served on the Board of Directors of the American Association for Suicidology. He is considered a leading national expert on military and veteran suicide. For his contributions to military mental health and suicide prevention, Dr. Bryan has received numerous awards and recognitions including the Arthur W. Melton Award for Early Career Achievement, the Peter J.N. Linnerooth National Service Award, and the Charles S. Gersoni Military Psychology Award from the American Psychological Association; and the Edwin S Shneidman Award for outstanding contributions to research in suicide from the American Association of Suicidology. Adam Carmel, PhD is a Clinical Assistant Professor in the Department of Psychology at the University of Washington, where he provides DBT training in the Behavioral Research and Therapy Clinics under the direction of Dr. Marsha Linehan. He received specialized training in DBT while completing a predoctoral internship at Duke University Medical Center and a postdoctoral fellowship at the University of Washington. Following his training, Dr. Carmel joined the faculty at Harvard Medical School at Beth Israel Deaconess Medical Center, where he was the Director of an outpatient DBT clinic and a DBT partial hospitalization program at the Massachusetts Mental Health Center. Dr. Carmel conducts research on implementing DBT and other evidence-based treatments, and training clinicians in the community to treat suicidal clients. Linda Dimeff, PhD, joins the Evidence-Based Practice Institute, LLC as Research Director after previously serving as Chief Scientific Officer and Vice President at BTECH Research, Inc. Dr. Dimeff's primary areas of interest involve designing, building, and evaluating innovative technology-based solutions to disseminate evidence-based therapies. Trained, supervised, and mentored by Marsha Linehan, Dr. Dimeff is a DBT expert clinician, consultant, and supervisor with specialty expertise in DBT for Substance Abusers as well as other evidence-based behavioral therapies. Dr. Dimeff is the 2011 recipient of the ISITDBT Cindy J. Sanderson Outstanding Educator Award. She is a standing member of the Mental Health Services Research grant review committee for the National Institute of Mental Health and is Adjunct Clinical Faculty at the University of Washington. Dr. Dimeff has received over 20 federal grants to facilitate the dissemination of evidence-based therapies and has published over 50 peer-reviewed publications. She is the first author of Brief Alcohol Screening and Intervention College Students and the primary editor of DBT in Clinical Practice. Joseph Franklin, PhD, earned his B.A. in psychology at Wake Forest University in 2005 and continued to work in the psychophysiology lab of Dr. Terry D. Blumenthal at WFU through 2007. He then went on to graduate school in clinical psychology at the University of North Carolina at Chapel Hill, where he worked in the lab of Dr. Mitchell J. Prinstein. At UNC, he received a Merit-Based Graduate School Fellowship (2007), a Graduate Research Fellowship from the National Science Foundation (2008-2011), the Early Graduate Student Researcher Award from the American Psychological Association (2009), three undergraduate research mentorship awards (2009, 2010, 2011), and the Baughman Dissertation Award (2012-2013). After receiving his M.A. (2009) and Ph.D. (2013) from UNC, he went on to complete a postdoctoral fellowship at Harvard University in the lab of Dr. Matthew K. Nock (2013-2015). In 2016, he was named a Rising Star by the Association for Psychological Science and began as an assistant professor in the Clinical Psychology program at Florida State University. Dr. Franklin’s work has been supported by the National Institutes of Mental Health, the U.S. Department of Defense, and the American Foundation for Suicide Prevention, among others. Shirley Glynn, PhD, is a licensed clinical psychologist in California who received her Ph.D. in clinical/social psychology from the University of Illinois at Chicago. She joined the UCLA Department of Psychiatry and Biobehavioral Sciences to begin a program of research on psychosocial interventions in 1989. This research continues, and is grounded in the critical importance of the family environment in recovery from psychiatric illnesses such as schizophrenia and bipolar illness. Her work has involved being principal or co-principal investigator on NIMH and VA funded studies examining the benefits of behavioral family therapy in schizophrenia, combat-related PTSD, and consumers with serious psychiatric disorders and co-occurring substance use disorders, as well as testing innovative strategies to involve families in the care of their loved ones with psychiatric illnesses. Dr. Glynn also works with VA Mental Health Services developing policy and implementing national trainings to help VA clinicians partner more effectively with the families of Veterans with psychiatric illnesses, including PTSD and comorbid substance use disorders. Dr. Glynn oversaw the group responsible for the development and implementation of the family component of the Zucker Hillside Early Treatment team (John Kane, PI) funded by the NIMH RAISE (Recovery After an Initial Schizophrenia Episode) project, and has conducted much of the supported employment and education training in the NAVIGATE component of the work. She has over 125 scientific publications. David A. Jobes, Ph.D., ABPP, is a Professor of Psychology, Director of the Suicide Prevention Laboratory, and Associate Director of Clinical Training at The Catholic University of America. He is also an Adjunct Professor of Psychiatry, School of Medicine, at Uniformed Services University of the Health Sciences. He has published six books and numerous peer-reviewed journal articles. Dr. Jobes is a past President of the American Association of Suicidology (AAS) and he is the recipient of various awards for his scientific work including the 1995 AAS “Shneidman Award” (early career contribution to suicidology), the 2012 AAS “Dublin Award” (for career contributions in suicidology), and the 2016 AAS “Linehan Award” (for suicide treatment research). He has been a consultant to the Centers for Disease Control and Prevention, the Institute of Medicine of the National Academy of Sciences, the National Institute of Mental Health, the Federal Bureau of Investigation, the Department of Defense, and Veterans Affairs. Dr. Jobes is member of the Scientific Council and the Public Policy Council of the American Foundation for Suicide Prevention (AFSP). He is a Fellow of the American Psychological Association and is Board certified in clinical psychology (American Board of Professional Psychology). Dr. Jobes maintains a private clinical, consulting, and forensic practice in Washington DC. Cedar Koons, MSW, LCSW, is a 40+ year practitioner of meditation who has studied with Prem Rawat, Pat Hawk and Marsha Linehan. She is the author of The Mindfulness Solution for Intense Emotions: Take Control of BPD with DBT. Cedar co-founded Santa Fe DBT in 1998 and served as team leader until she retired from clinical practice in 2016. She is a researcher, consultant, certified DBT therapist and a senior trainer for Behavioral Tech. Cedar leads an annual silent meditation retreat for Portland DBT Institute. This is her second series of talks on mindfulness for PracticeGround. Cedar lives in Dixon, New Mexico. Shelley McMain, PhD, is a Clinical Psychologist and Head of the Borderline Personality Clinic of the Addictions Section in the Clinical Research Department. She is an Assistant Professor with the Department of Psychiatry, University of Toronto as well as an Adjunct Professor with the Department of Psychology at York University. Dr. McMain is studying psychotherapy methods and outcomes for borderline personality disorder (BPD), concurrent BPD and substance use disorders (SIDs), and self harm and suicidal behaviour. Recent projects have examined the effectiveness of Dialectical Behaviour Therapy for the treatment of concurrent BPD and SIDs. Current projects focus on examining the clinical and cost effectiveness of Dialectical Behaviour Therapy for chronically suicidal individuals with BPD, the factors that predict post-treatment change, and the mechanisms of change in psychotherapy for BPD. Matthew K. Nock, Ph.D. is a Professor of Psychology and Director of the Laboratory for Clinical and Developmental Research in the Department of Psychology at Harvard University. 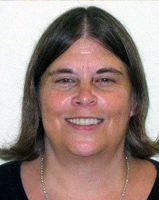 Suzanne Witterholt, MD, has worked for the Minnesota Department of Human Services since 1994. For over six years, she directed a DBT inpatient unit at the Anoka Metro Regional Treatment Center. Subsequently, she turned her attention to the development of the community’s capacity to effectively treat individuals with Borderline Personality Disorder and related conditions. Since 2006, she has been working with treatment developer, Marsha Linehan, PhD; to implement DBT certification of clinicians and programs based on the evidenced based fidelity standards of the model. Currently, she is a on the Board of Directors of the DBT-Linehan Board of Certification. Having consulted extensively in Minnesota and throughout the United States, she is actively involved in developing access to, teaching and implementation of DBT and other evidenced based practices in the public mental health sector. In recognition of her work, she has been named a Distinguished Fellow of the American Psychiatric Association. Evidence-Based Practice Institute (EBPI) is approved by the American Psychological Association (APA) to offer continuing education for psychologists. EBPI maintains responsibility for the program and its content. EBPI has been approved by NBCC as an Approved Continuing Education Provider, ACEP No. 6898. Programs that do not qualify for NBCC credit are clearly identified. EBPI is solely responsible for all aspects of the programs. EBPI has allocated 1 hour of continuing education for each of the Suicide Series webinars. After attending a webinar in this series, EBPI will email you a CE certificate. EBPI has allocated 6 hours of continuing education for the Mindfulness course. After attending all 6 of the webinars in this series, EBPI will email you a CE certificate. Partial credit cannot be provided. EBPI has allocated 1 hour of continuing education for each of the Employment Series webinars. After attending a webinar in this series, EBPI will email you a CE certificate. Note: Licensing and continuing education requirements vary by state. Please contact your state's regulatory authority to verify if this course meets licensing and/or continuing education requirements. You may also contact our CE department at support@ebpi.org or by calling 206-455-7934 ext. 81. Get early access to new courses, collaborative projects and tools by receiving our monthly educational newsletter. ©2019, Evidence-Based Practice Institute, LLC.